Richard C. Moldenhauer, CLU®, ChFC®, RFC, CEP, is a Chartered Financial Consultant and a Certified Estate Planner. 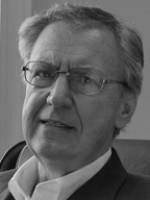 Rich entered the financial industry as a management trainee in 1971 and in 1974 Moldenhauer & Associates was born as a financial planning firm when the industry was just evolving. The firm grew into one of the largest financial firms in upstate New York. This growth included eight offices between Jamestown and Watertown, including Syracuse, Rochester, and Buffalo. In 2000, Rich decided that his real love was working with clients on a more personal basis. As a result, Moldenhauer & Associates was reconstructed as a firm focusing on client service and satisfaction. Rich is recognized and respected in the financial industry. He has spoken to audiences in more than 30 states and several countries on topics ranging from leadership and management to selective benefit plans and estate planning. 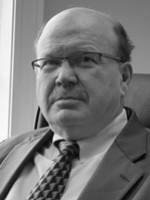 He has taught continuing education for attorneys, accountants, and financial planners, and he has been a prolific writer on a variety of financial subjects. Also, he has had articles published in newspapers, magazines, and on the Internet. Rich is a graduate of the University of Kentucky, the American College, and the Center for Entrepreneurial Leadership at the University of Buffalo. He is a member of the NAIFA, the Society of Financial Service Professionals, the Western New York Estate Analysts, and the Association of Registered Financial Planners. In 2015, he was inducted into the Ameritas Hall of Fame*. After college, Rich attended Officer Candidate School and was commissioned a lieutenant in the U.S. Army. He served in Vietnam as a forward observer and a unit commander. His avocations include fly fishing, fitness training, public speaking, as well as writing. You can see some of his writings on our monthly newsletter, which is available online and, if desired, in hard copy without cost to clients and friends of the firm alike. Rich has fished in many of the best fly fishing venues in the country, but he has a special fondness for the waterways of Western New York where he learned to fish almost 40 years ago. Since his recovery from transplant surgery, he and his favorite person and wife, Kathy, have become residents of South Carolina. Living in both South Carolina and Western New York, for those people who know him and Kathy the best, know that their devotion to each other has been enhanced by the challenges of the past several years. The doctors say that Rich’s recovery has been almost miraculous. While not wanting to overstate what has occurred in their lives, their family has grown stronger and closer in the process. With two sons in Charleston and two in Western New York, and along with eight grandchildren, Rich and Kathy’s lives are extremely full. While many of Rich’s peers are slowing down and retiring, he is finding new challenges and opportunities. He believes that Moldenhauer & Associates continues to grow into one of the most exceptional financial firms in the industry and is more enthusiastic about the future than ever. *The Ameritas Hall of Fame recognizes Rich's contributions and leadership in the community, industry, and the Ameritas company. 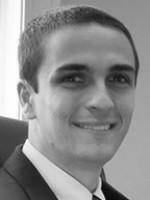 Brett Moldenhauer joined his father at Moldenhauer & Associates in March 2004 and became part owner of the firm in 2010. He is a recognized figure in the financial and retirement income planning industry and is a sought-after speaker and author on these matters. Brett is wise beyond his 13 years in the industry and combines disciplined and sound financial planning techniques/tools with his youth and vigor. Clients appreciate that Brett looks at the financial world through their eyes: he doesn’t focus on or talk about the rate of return, but rather on delivering retirement and financial plans that meet client objectives and will stand the test of time in this crazy world we live in. Knowing his integrity and the respect he has for the legacy of his family’s business, Brett’s aim is to make sure that Moldenhauer & Associates is here and thriving for far longer than another 40 years. 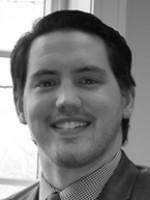 Brett is a member of Buffalo’s chapter of NAIFA, and advocates for both his clients and his industry. Following in line with his upbringing, Brett (and all of Moldenhauer & Associates) continues to be very civic minded. He and the firm contribute both time and financial support to many charities and organizations in our community. Most important, Brett has a supportive wife, Andrea. She is understanding of his long work hours and dedication to the clients who have entrusted their financial futures to Moldenhauer & Associates. Brett saves his biggest smiles for his two sons, Benjamin and Campbell, and his daughter Ruby. They are the reasons he holds himself to such high moral and ethical standards. Brett Moldenhauer is proud to have been recognized as a Chairman's Level advisor for 2017—a distinction based on annual production attained by just 3 percent of advisors affiliated with Commonwealth Financial Network. 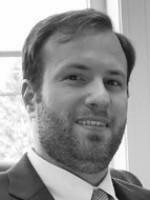 A graduate of SUNY Binghamton and attended Albany Law School, Nick joined Moldenhauer & Associates in 2008. He has prior industry experience in helping business owners and executives handle their personal financial planning needs. He also provides guidance related to their businesses’ qualified and non-qualified investment programs. Today, Nick continues to build trust and confidence with clients and prospective clients with innovative investment management and estate planning strategies. Nick, along with his wife and daughter, currently reside in Tonawanda. John H. Ring III is a 1983 graduate of Allegheny College and graduated from the University of Tennessee School of Law in 1986. Mr. Ring opened his own law practice in February 1990 and continued that practice until accepting the position of COO for Moldenhauer & Associates in June 2016. Mr. Ring’s law practice consisted primarily of bankruptcies and estate planning. He resides in Williamsville with his wife and two children. 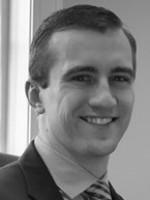 Jonathan Dombrowski joined Moldenhauer & Associates in 2014 and quickly proved to be a great asset to the firm. A Western New York native, Jonathan attended Canisius High School in Buffalo. He graduated from Bond University in Australia with bachelor's degrees in business management and finance. Jonathan focuses on developing strategies that will best help our clients achieve their investment and retirement goals. He chose to work for Moldenhauer & Associates because he wanted to work for a local firm that has a long-standing positive reputation and takes the time to genuinely understand its clients’ interests. He enjoys studying trends in the market and staying up-to-date on industry news. Jonathan lives in Hamburg and is currently working on renovating his first home. He enjoys an active lifestyle which includes hiking and playing soccer in the summer and skiing in the winter. Gregory Kotecki joined Moldenhauer & Associates in 2015 and has quickly become a vital component to the team's success. He stands firm on the belief that the best product we can offer to our clients is knowledge and guidance to make educated life choices. It is the foundation of everything we do and is also what separates us from our competition. Whether it be cleaning up financial messes for new clients or assisting an existing client in an uncommon circumstance, Greg finds any means necessary to reach the most optimal resolution. Being able to assist and benefit each person who walks through the door is an incredibly rewarding experience, of which Greg is grateful to be a part. Gregory ventured to the other side of the state for his college education, obtaining a bachelor's degree in economics from SUNY Binghamton. 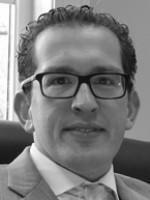 He has previous experience assisting clients in achieving both their long- and short-term objectives and has begun the process of obtaining a CERTIFIED FINANCIAL PLANNER® certification. Greg currently resides in Tonowanda but grew up just outside of Hamburg. He is active in one sport or another all four season of the year, but his favorites include beach volleyball and skiing in nearby Ellicottville. He recently has gained interest in backpacking and has become a member of the Adirondack 46ers. Patrick O’Connell joined our firm in 2015. Genuine compassion, attentiveness, tact, and trustworthiness are at the cornerstone of every client relationship that he forms. Whether it is turning complex topics into easy-to-understand summaries or lending an ear to a client’s personal circumstances, Patrick enjoys playing a role in his clients’ future success. Patrick believes that you are in control of your future financial success and Moldenhauer & Associates is here to provide you with advice on how to achieve that success. When Patrick is not assisting individuals in attaining their financial goals, he enjoys spending time with his wife and two children, and doing outdoor activities such as skiing, fishing, and golfing. 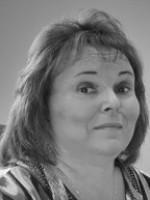 Sharon Fiederowicz is the office manager and Richard Moldenhauer’s personal assistant. 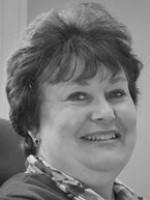 She has been a crucial member of the Moldenhauer & Associates team since 1980. Sharon lives in Orchard Park. She currently holds her New York life and health insurance license and is a notary public. 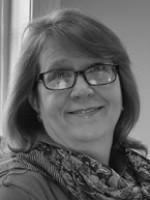 Karen Russi joined Moldenhauer & Associates in 2003 and is our business and administrative professional. She is the friendly face greeting you when you visit our office. Karen resides in Hamburg with her husband and their two children. Jennifer Williams lives in East Aurora where she grew up and raised three children. Jennifer enjoys cooking in her spare time. She is an avid bike rider and every summer goes camping and caving in the Adirondacks. Jennifer Badzinski joined Moldenhauer & Associates in 2017 and the firm has already benefited from her financial services experience. She prides herself on providing exceptional customer service and derives great satisfaction in helping others. Jenn grew up in Cheektowaga and attended college at SUNY Fredonia where she obtained a BS in business administration with a concentration in marketing. She took up a second major in economics and was awarded “Outstanding Junior” and “Outstanding Senior” among all students majoring in economics. She was an active member of the SUNY Fredonia Business Club and had the opportunity to visit the New York Stock Exchange during her final year. Jenn resides in Hamburg with her husband and two daughters. She enjoys practicing yoga, running, and taking spin classes in her free time. Laura joined Moldenhauer & Associates in 2019, has FINRA Series 6, 63 and 65 securities registrations, and the NY life insurance license. She has worked in the financial industry for more than 30 years. She enjoys helping clients and being available as a resource to both clients and our advisors. Laura grew up in Western New York and attended college at Trocaire, where she obtained an AAS in administration and graduated with high distinction. She is a member of Insurance Women of Buffalo and is very active at her church. Laura resides in Angola with her son. She enjoys spending time with her grandchildren, enjoys local bands, walking, reading, and gardening.